Eating with braces and foods that may damage your braces. During orthodontic treatment, you will be asked to avoid certain types of food that may damage your braces. 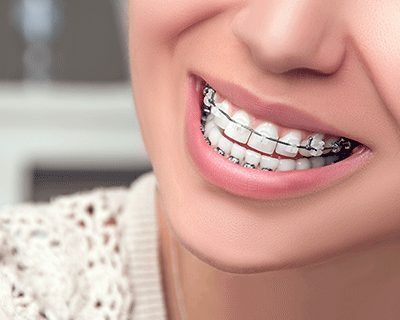 In general, hard, sticky, crunchy and chewy foods should not be eaten while you have braces as they have a tendency to damage them, which may lead to a longer treatment time. We want to make your orthodontic treatment as comfortable and quick as possible! Please don’t hesitate to call us with any questions that you may have about living with your braces. We’ll answer all your questions and provide you with a no-obligation quote for your chosen orthodontic treatment.